This is the word that came to Jeremiah from the Lord: "Go down to the potter's house, and there I will give you my message." So I went down to the potter's house, and I saw him working at the wheel. But the pot he was shaping from the clay was marred in his hands; so the potter formed it into another pot, shaping it as seemed best to him. "Therefore say to the people of Judah and those living in Jerusalem, 'The Lord says: Look! I am preparing a disaster for you and devising a plan against you. So turn from your evil ways, each one of you, and reform your ways and your actions.'" So the Pharisees and teachers of the law asked Jesus, "Why don't your disciples live according to the tradition of the elders instead of eating their food with unclean hands?" Jesus called the crowd to him and said, "Listen to me, everyone, and understand this. Nothing outside a person can cause uncleanness by going in; the things that come out are what cause uncleanness." Let anyone with ears to hear listen. He went on, "What comes out of a person is what causes uncleanness. For from within, out of people's hearts, come evil thoughts, sexual immorality, theft, murder, adultery, greed, malice, deceit, lewdness, envy, slander, arrogance, and folly. All these evils come from inside, and make a person unclean." If we want to be set free, we have to recognize our faults and regret them. We recognize our faults when we learn what sorts of things are wrong, see them in ourselves, admit them, take responsibility for them, and criticize ourselves for them. When we do this in front of God, we are recognizing our faults. We regret our faults when, once we have admitted them and asked with a humble heart for help in giving them up, we stop acting on them and start living a new life in harmony with the rules of kindness and faith. This morning we have several reasons to celebrate. Our Sunday School has started up again for the year. It is wonderful to see the children gathering together to worship and learn about the Lord and the Bible while enjoying each other's company. 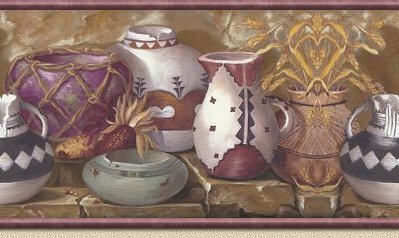 In honor of the start of our Sunday School, we are using the same Bible story for our theme in church today as we did in Sunday School: Jeremiah's Parable of the Potter. We also have several exciting projects and possibilities opening up for our church at the beginning of our church year. Those of you who can stay for the Church Committee meeting will hear more about them. The Invite A Friend program that we are participating in with other churches in Bridgewater is one of these, but not the only one! What does this have to do with the Parable of the Potter? While we were waiting for the belfry structure to arrive, and after it had been placed on its temporary foundation, Larry and I were talking with the workers. The conversation went here and there, but naturally a lot of it was about construction. At one point, the welder who runs the shop that is fabricating the steel structure for our steeple was talking about the process he goes through to put something like this together. The structure for the belfry weighs over seven thousand pounds; one of the partially assembled pieces can weigh five hundred pounds or more. So, he was telling us, you can't just pick up those pieces and carry them across the shop. You have to use forklifts and hoists to move and place them. It is a time-consuming process. Then he mentioned something that can really slow things down. If any of the pieces are not quite right, when the crew gets all the pieces together to assemble them, they won't fit together properly. So on top of what could be several hours to get them all moved into place, the crew has to take the pieces apart again and make the changes and adjustments needed so that they fit just right and the structure will be true to the specifications. This is the word that came to Jeremiah from the Lord: "Go down to the welder's shop, and there I will give you my message." So I went down to the welder's shop, and I saw the crew working with their arc welders. But the belfry they were shaping from the steel did not fit together the first time; so the crew made the necessary modifications to the pieces, forming the belfry according to the structural drawings. You see, as we watched those workers going about their work, and listened to them talking about the process they go through in shaping our steeple into the beautiful structure that it will once again be, I realized that Jeremiah's Parable of the Potter was being re-enacted right here in southeastern Massachusetts in the year 1998! It has been over 2,500 years--several eons from a human perspective--since the Lord sent Jeremiah to the potter's house to show him a living parable. In that long stretch of time, nations and empires have come and gone. There have been wars and rumors of wars; nation has risen up against nation, and kingdom against kingdom; there have been famines and earthquakes in various places. Over those eons, the human actors in this parable of life have changed; the technology has also changed. But the spiritual message is timeless. The infinite, unchanging Lord of the universe still brings us the same message through the stories of our day as he brought to the ancient Jews through the experience of the prophet Jeremiah. For although many things have changed, the human heart still faces many of the same issues that it did 2,500 years ago. We are the clay that is being shaped in the hands of the Lord. Or, to use our modern metaphor, we are the steeple--the church--that is being formed by the hands of the welders and carpenters, the electricians and telephone engineers. We have been designed by the Lord to be sacred vessels; our divinely drafted structural drawings call for each of us to be a temple built to the glory of God and for service to our fellow human beings. Yet the temple that the Lord is building us into rarely comes out right the first time. Each one of us, if we are honest with ourselves, will find that Jeremiah was speaking about us when he said that the vessel was marred in the Potter's hands. The clay that symbolizes our emotions, our desires, our loves--those basic human elements that form the substance of our lives--that clay is found to be marred in us. As we discover our own areas of thoughtlessness and prejudice, the steel pieces that symbolize the principles and beliefs by which we structure our lives are found not to fit together properly. Often we do not act from overflowing love for God and for our fellow human beings; we act from other, less noble motives. We do not like to see these human evils within ourselves. Yet if we are honest, we will find them--as much as we might prefer to call them by other, more "socially acceptable" names. Our daily headlines bring us the story of one powerful man who allowed some of these evils to come out of his heart and into his life, and is now facing the consequences of his actions. It is easy for us to sit back and point fingers at politicians and public figures, at neighbors and even friends and family members, and point out how the evils Jesus mentioned have come out of their hearts and made them unclean. It is so much harder to point that finger at ourselves, and admit to the ways in which, yes, we have allowed selfish and greedy desires to flow out of our hearts and cause the vessel of our selves--the structure of our lives--to be marred and misshapen under the divine Potter's (or Welder's) hands. When we break civil and criminal laws, we face legal penalties for our actions. But in the Parable of the Potter, the Lord does not speak to us of penalties and punishments. Instead, the Lord speaks to us of change and renewal. When the vessel in the potter's hands is found to be marred, the potter does not throw the clay in the trash, but reshapes it into a new vessel. When structural steel pieces are found not to fit together quite right, they are not thrown away, but re-machined and re-welded to the right fit. If they are so far off that they have been rendered unusable for that particular project, the steel is reused or recycled into something else. If we are willing to go through this process: to recognize our faults, admit them, take responsibility for them, and ask with a humble heart for help in giving them up, then the Lord will help us to start living a new life in harmony with the rules of kindness and faith. Whatever thoughtless habits and selfish desires may be marring our lives right now, the divine Potter is ready and willing to re-shape us into beautiful vessels of love, wisdom, and useful service--into a beautiful temple whose spire once again reaches upward toward God. Amen.